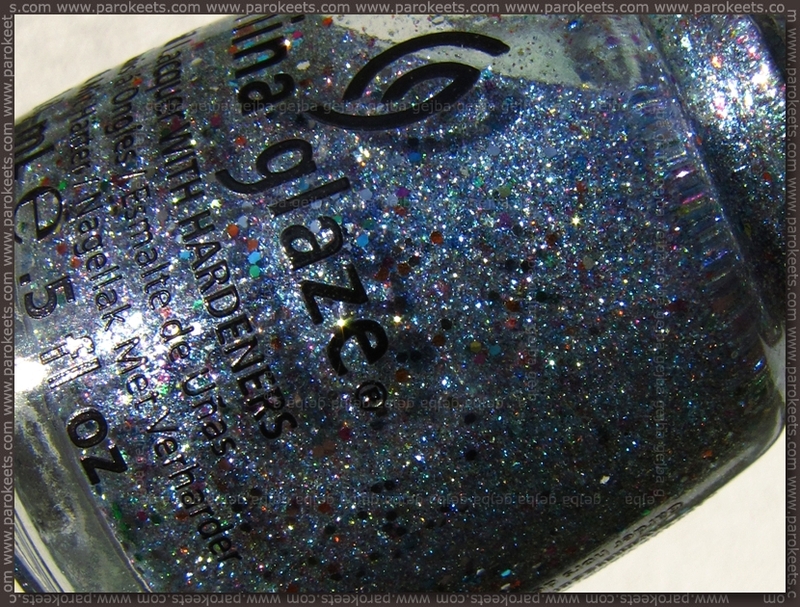 China Glaze Liquid Crystal nail polish is one of the goodies Maestra brought me from USA … *cough* in April? Application was not difficult by itself, but I was trying out Essence Peel Off base coat for the first time and filming it, so the final look is not the neatest one. I used two thicker coats + 2 top coat layers to get pretty decent coverage. I thought this nail polish would be more sheer, but it wasn’t. Best description I have for this shade is chaotic blue. :D You can see that primary color is blue, but then they start with holo shimmer/glitter, larger hexagon glitter in multitude of colors and you get the chaos component. I made one photo in sunlight and other in lightbox. I still want to try it out as french manicure, but all in all I liked this shade. 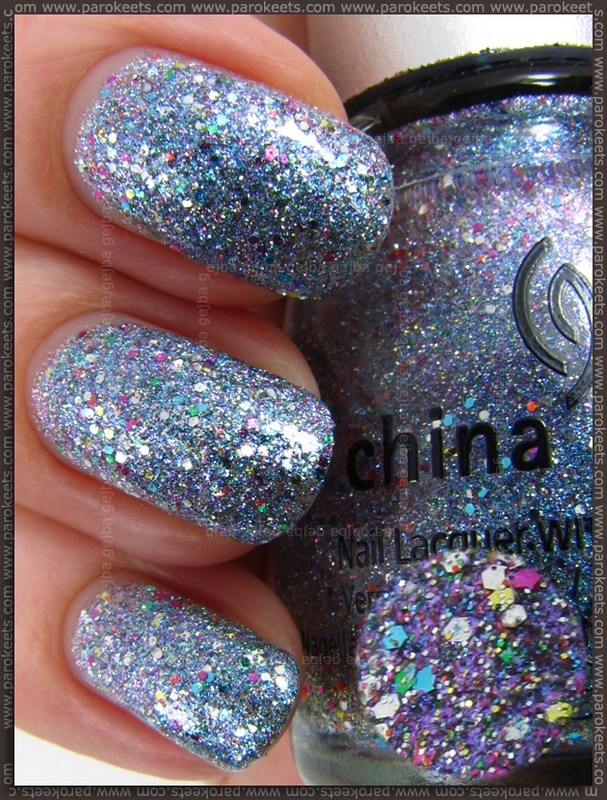 That’s my 2 cents about China Glaze Liquid Crystal nail polish … how do you like it? Veoma je lep, mada možda suviše šaren za moj ukus.